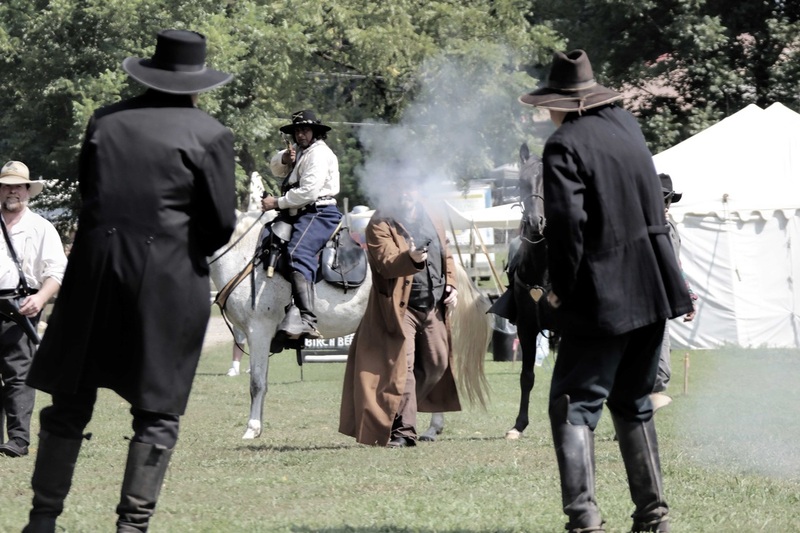 it's been 20 years since the tunnel hill historical foundation sponsored a reenactment to look back upon tunnel hill's civil war days. 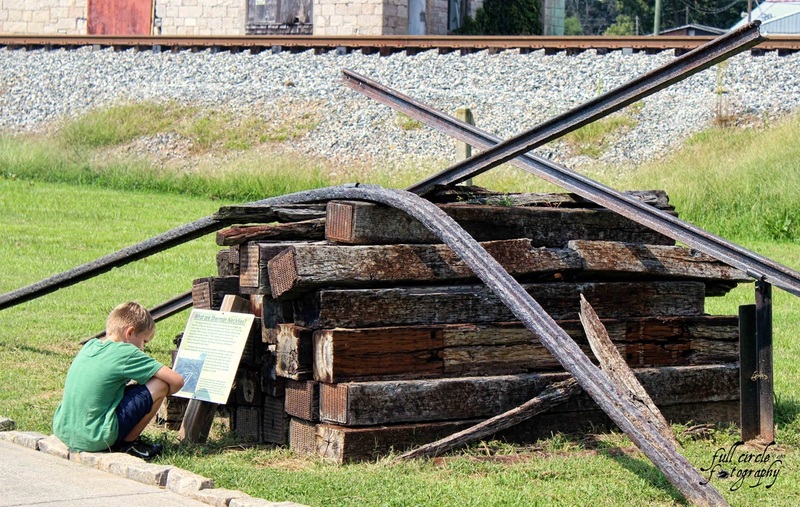 in addition to the heritage center museum and the antebellum clisby austin house, it is also the home to the first railroad tunnel constructed south of the mason-dixon line. it was completed in 1850, it was christened with many bottles of wine, and on may 9, the first train passed through. 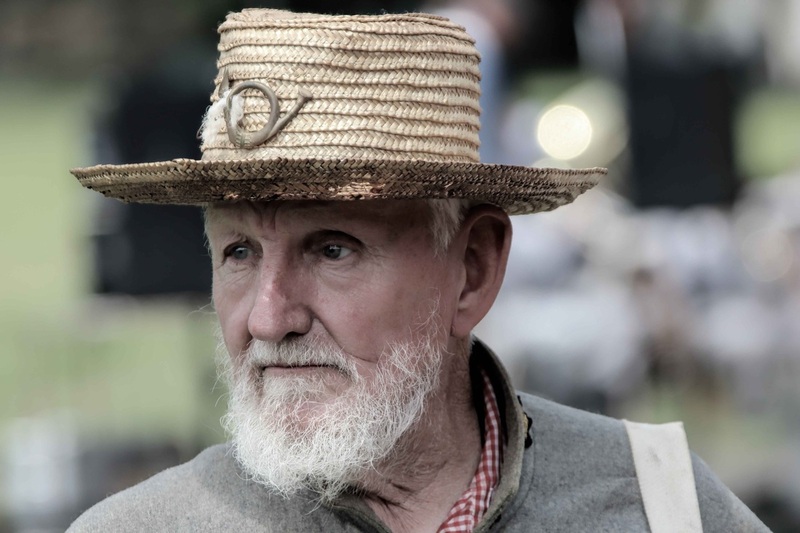 on this day, hundreds of people gathered in ninety-degree heat and became spectators to a battlefield of living historians. 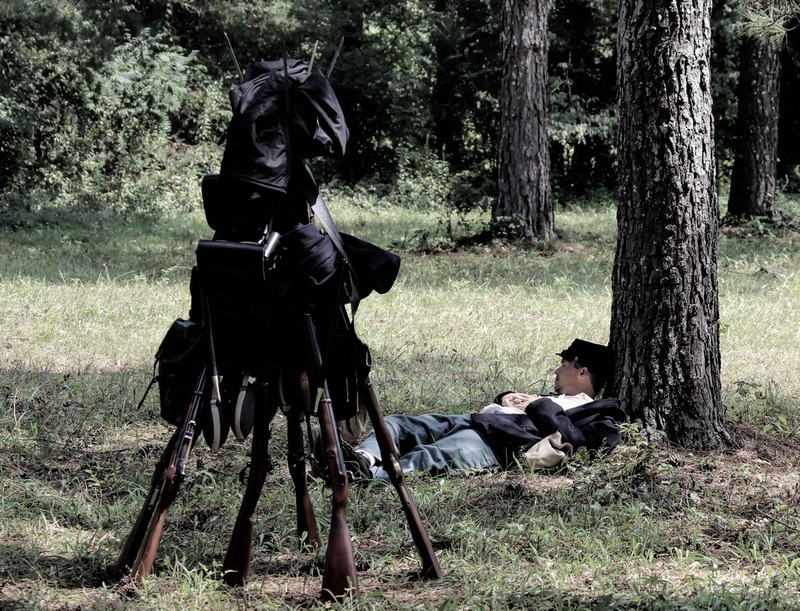 the wool-shielded soldiers mounted horses and converged from confederate and federal camps. families walked with fathers. children listened intently to stories of victory and tradition. 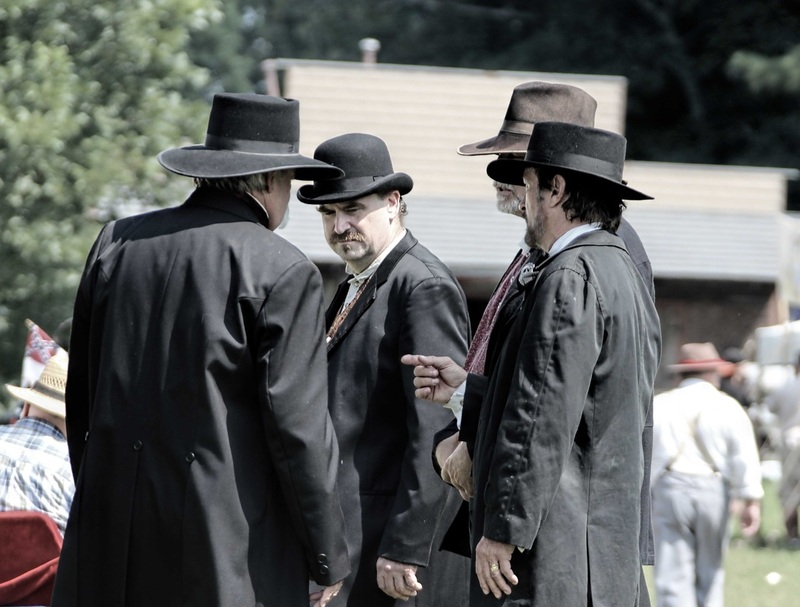 men kissed their wives goodbye as they gathered with men of like-wise conviction. 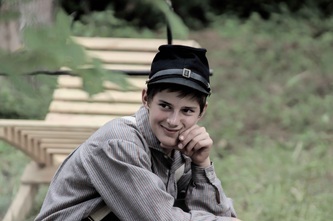 for those new to reenactments, be prepared for a sense of fascination in that from beginning to end, each soul is in character. 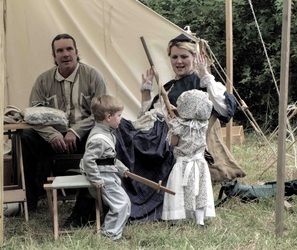 the infantry men, the widows of fallen soldiers, the children in camp. 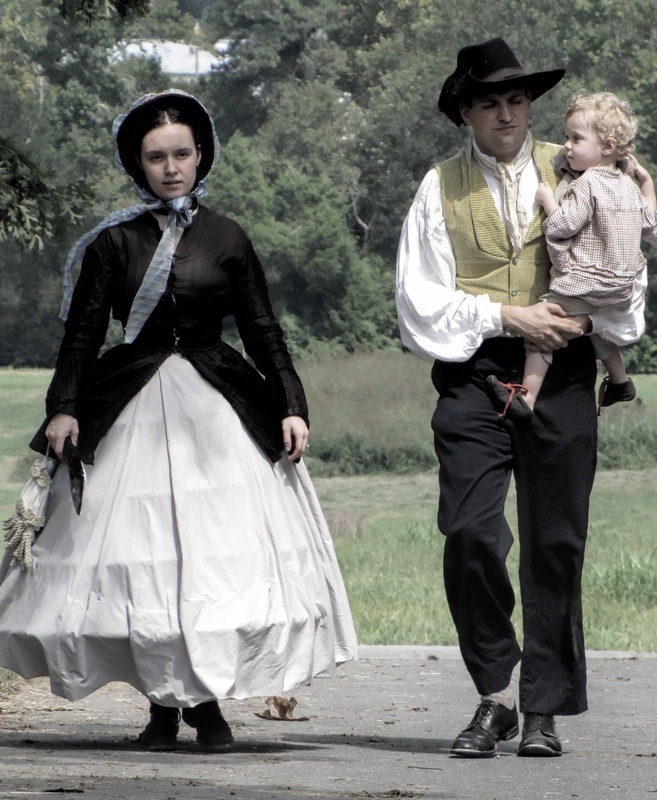 it's a small tinge of life in the mid-1800s and a nation at war. as the day ended with two weddings and a ball, soldiers and families gathered on the lawn of the clisby austin house. the clisby austin house was constructed in 1848 and its history includes being a hotel, a store, a bath house, but most notably, a hospital during the civil war where general john bell hood was treated. 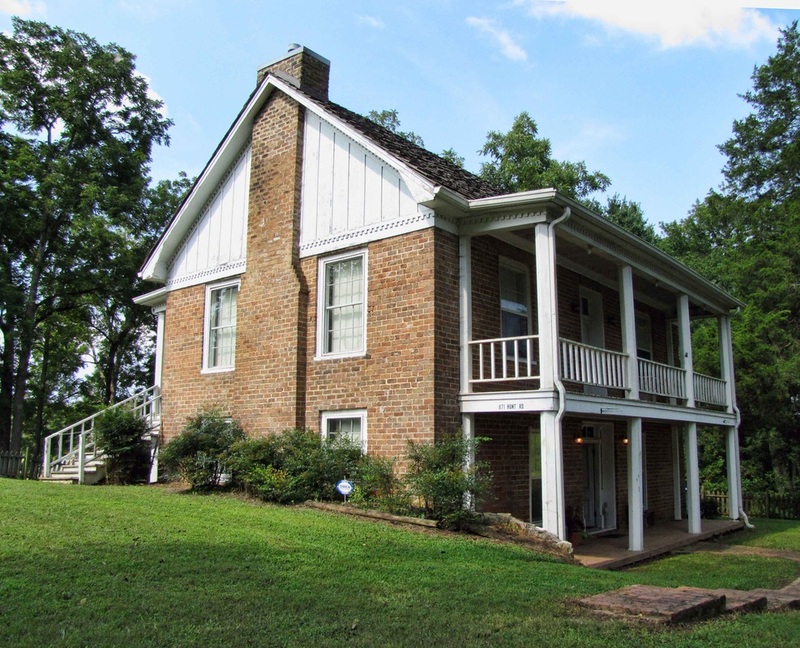 later, it was headquarters for general sherman who planned some of the first movements of the atlanta campaign. after many owners through the years, today is belongs to whitfield county, a gift from kenneth and barbara holcomb with the condition that it remain preserve for future generations. a depiction of 'sherman's necktie'. a method used to render the rails inoperative, rails would be pried loose and placed on piles of ties and set on fire. the center of the rails would be so hot that the weight of the end would cause it to droop. 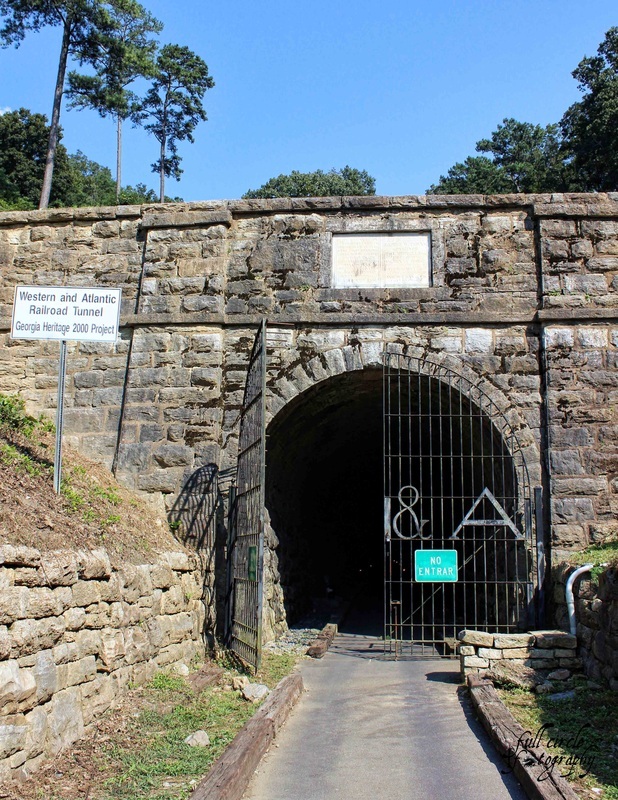 the western and atlanta railroad tunnel. spans 1,477 feet and according to some, harbors 13 ghosts. 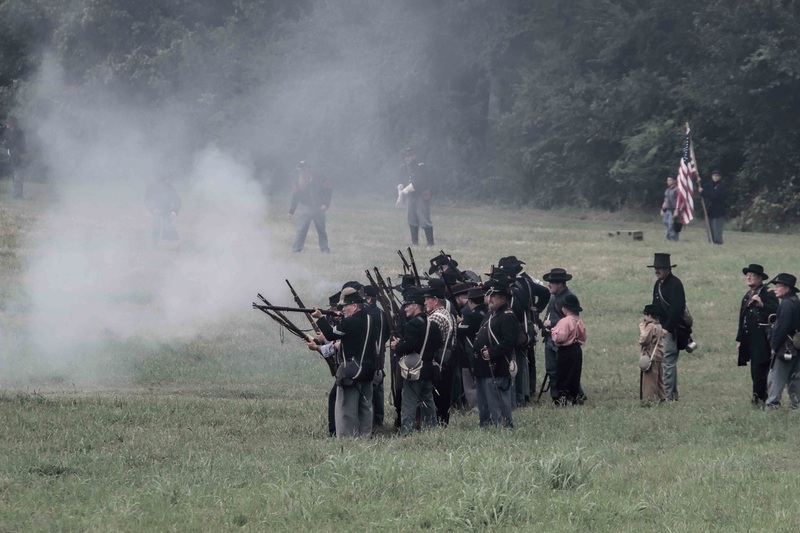 on september 11, 1863, just before the battle of chickamauga, the first skirmish in tunnel hill took place. 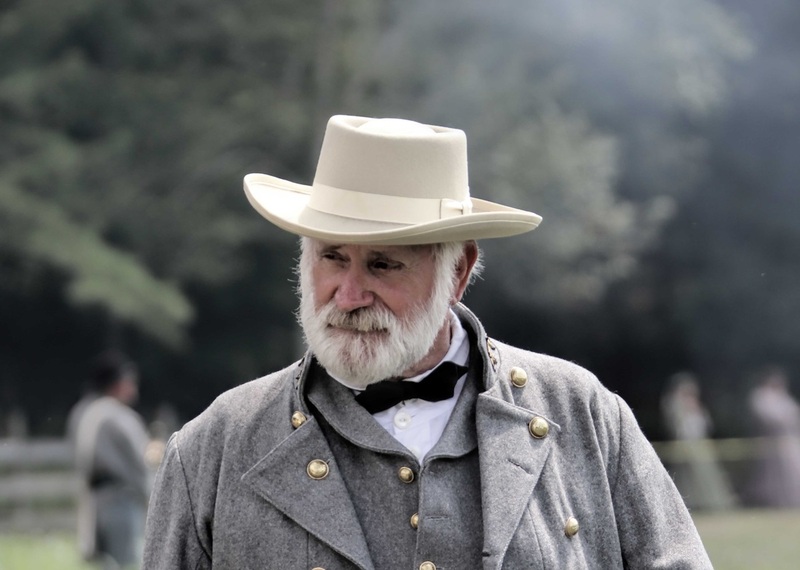 after fight at chickamauga, many sick and wounded were brought to tunnel hill, including confederate general john bell hood. while there, his leg was amputated and buried in the woods near by (they don't know exactly where). the second conflict took place on november 1863. after bragg's defeat at missionary ridge, his army was in retreat in dalton. 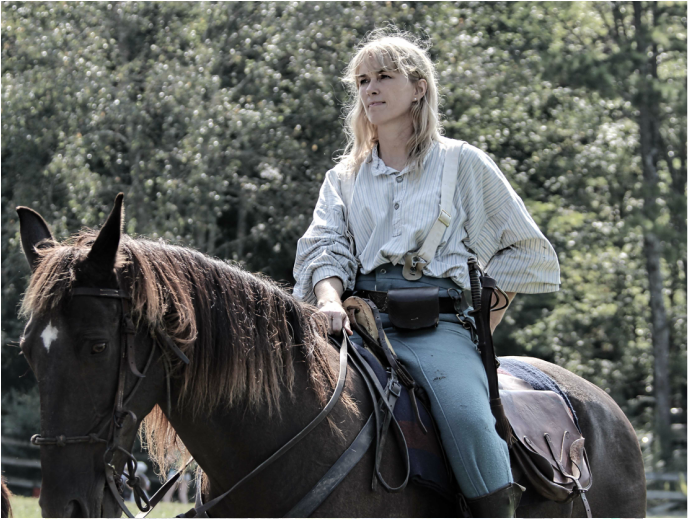 as his army was passing through, a rear guard set up positions in ringgold gap where the confederates delayed the federals for several hours before withdrawing. 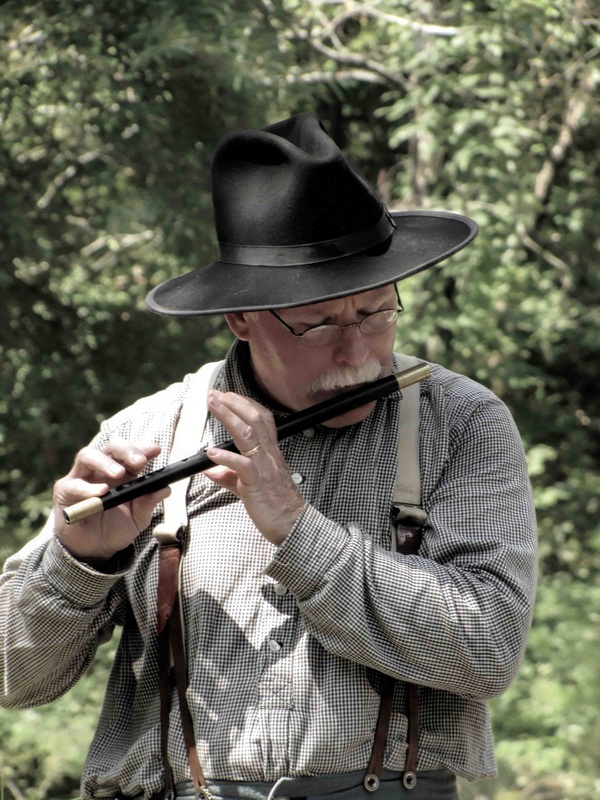 on november 28, the confederates who had retired to tunnel hill found themselves under an aggressive attack. 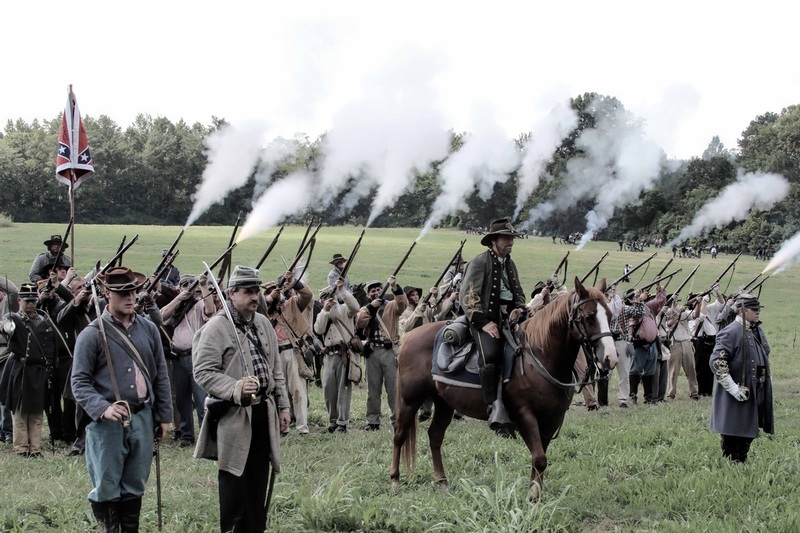 they were able to hold their positions and have the federals retire to ringgold. 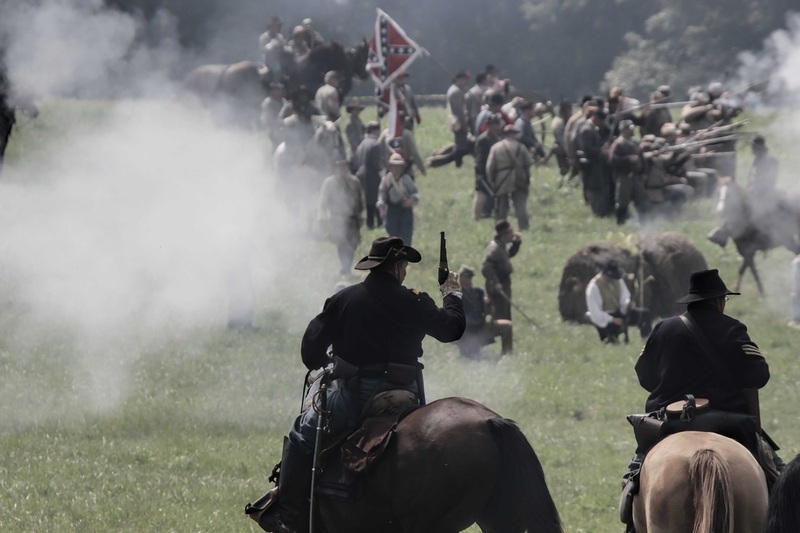 the third skirmish occurred on january 28, 1864, when a strong body of infantry from the us fourteenth army corps was advancing from ringgold met up with confederate outposts. 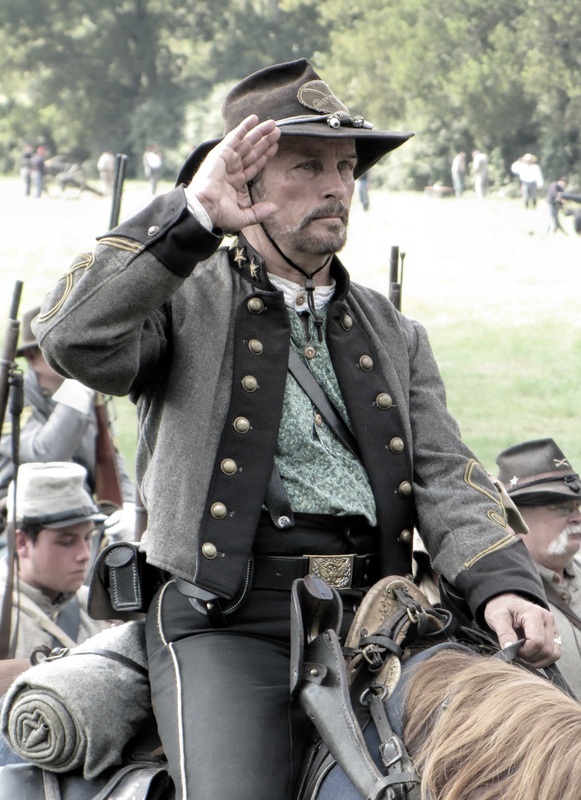 driving them to tunnel hill, the federals got close enough to see it still in control of the confederates. 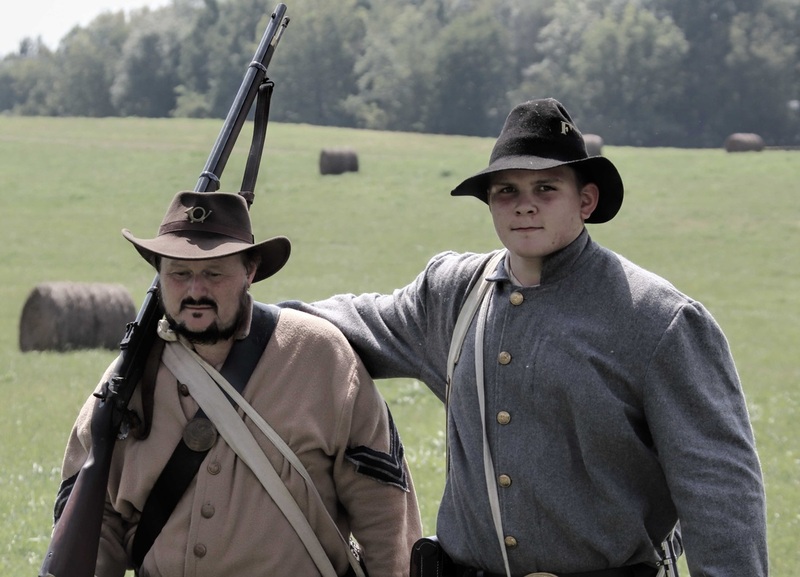 the federal infantry then retired. 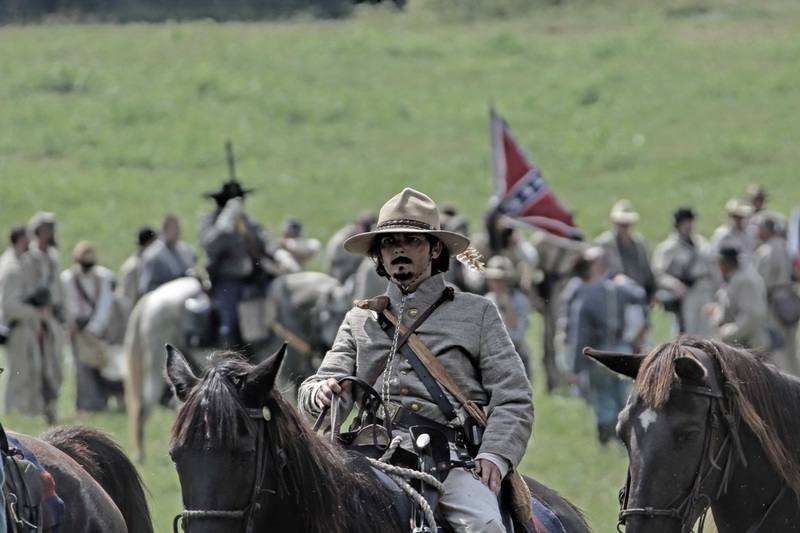 union losses were two wounded, with 32 wounded for the confederates. during sherman's march to the sea, yankee soldiers reached tunnel hill february 23, 1864. sherman took over the clisby austin house from may 7 - 12 that same year. legend says he slept in the same bed previously occupied by the wounded confederate general hood.